A.P. Moller-Maersk A/S said a cyberattack that hit the owner of the world’s biggest container shipping company at the end of June will wipe as much as $300 million off profits in the third quarter. The announcement was made in connection with second-quarter earnings, which showed Maersk missed analyst estimates after taking a writedown at the tankers unit that’s part of the energy business management has said it wants to get rid of. In an interview with Bloomberg Television, CEO Soren Skou said the industry outlook was bright, despite the disruptions of cyberattacks and writedowns. Management at the Danish company sees “very healthy fundamentals” for container shipping, Skou told Bloomberg’s Matt Miller and Guy Johnson. • Earnings before interest and taxes was $302 million in the second quarter, missing the average estimate of $896 million in a Bloomberg survey of 10 analysts. • Maersk had a net loss of $269 million, when analysts had expected a profit. • Revenue was $9.60 billion, in line with estimates. • The June cyberattack will cut about $200-300 million off Maersk’s results, it said. • The company kept its outlook for the full year. 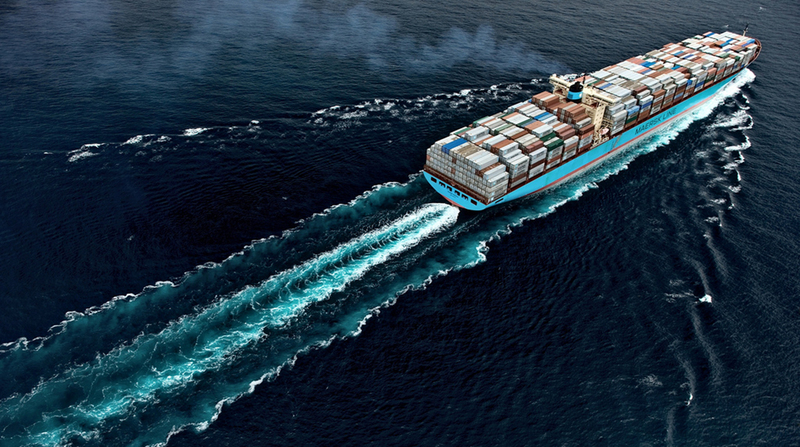 Maersk was among a number of multinational companies that in June was hit by a cyberattack. Its IT systems were disabled, preventing the shipping line from taking new orders for several days. Maersk said on Aug. 16 it kept its outlook despite the costs of the cyberattack, as the container shipping market improves. Maersk said “the improvement in market fundamentals in past quarters has started to reflect in the freight rate,” which it said was up 22% from a year earlier. Freight rates increased by 36% on East-West trades and 17% on North-South trades, it said.